World Champion kayaker Sam Sutton has explored the remotest parts of the globe, including Siberia, risking his life on the deadliest rivers on Earth. ­Grueling rapids and plunge waterfalls are what these adrenaline junkies are after. And the best of them all – the young and daring New Zealander, Sam Sutton – has been looking for the ultimate challenge. 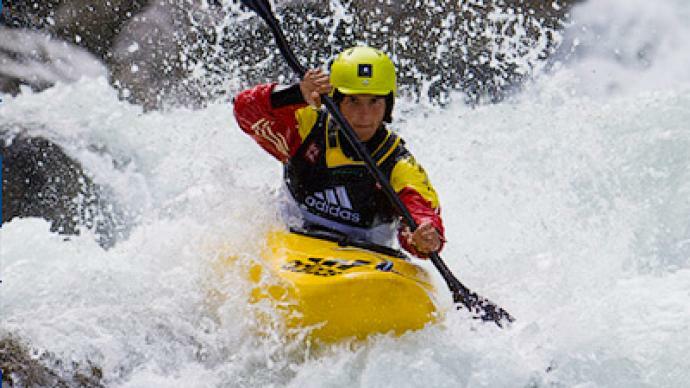 At 22 years old, he is the reigning extreme kayaking world champion. And he set out on a global journey to find the toughest waterway there is, the so-called River God. The world-renowned Niagara Falls could spell certain death for a paddler. So, Sam's quest began in Siberia. “In Russia you are just faced with huge amounts of water. And you are looking down those rivers and you are faced with the wall of water – you can’t even see where you’re going. You can’t see any of your teammates because you’re down in the hollow. And it’s just like peddling against God’s hand,” he said. Not one to settle for anything in-between, Sam and Co chose arguably the most demanding river in Russia, called the Bashkaus. Filled with obstacles, it has a dark history of claiming people's lives. But, luckily for Sam, going down the Bashkaus meant only a life-changing experience. “A pinnacle moment from the whole expedition – you’re looking down at the river and all of these emotions come up from within. You’re just thinking about friends you’ve lost in the river and what’s really important to you in life. In this stage you just see life in pure clarity,” Sam said. With all the treacherous turns negotiated in the Altai Mountains, Sam moved on to Iceland. Geysers are the first thing that may pop into your mind. But, after the trip, waterfalls should be second, with some of them being higher than an eight-story building. So, free-falling off them, and hitting the water again, is not dissimilar to a car crash. 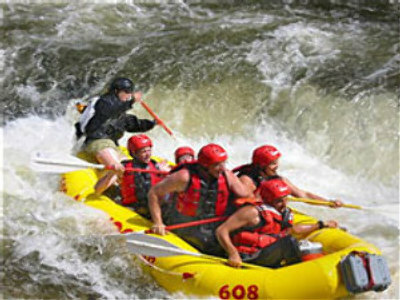 And surviving is what gives the kayakers their sought-after thrills. “When all those emotions that you’ve we just conquered that goal come through, it’s just all worth it. The risk definitely was smaller than the reward. And the reward was just so great,” he said. If that wasn't enough, Sam ventured further into the Mexican jungle and it is there that the New Zealander found his River God. The shocking blue waters of the Aqua Azul provided the cascades of his dreams. Sam even discovered a cascade that had never been kayaked before and should be happy, at least for now, but more death-defying adventures are sure to come.